Add intelligent hydration to your Antidote reservoir, with just one click. Flow Meter gauges how much water you drink, and how much is left in your reservoir. Programmable interface lets you set and monitor personal hydration goals. Insulated cover keeps the heat and cold out. Clicks onto any CamelBak reservoir with Quick Link system. Click-in connectivity with auto shut-off allows customization with enhanced accessories, including the Fresh Filter that provides better tasting water on demand and the Insulated Tube with Flow Meter to keep water colder longer while monitoring how much water has been consumed and how much remains. 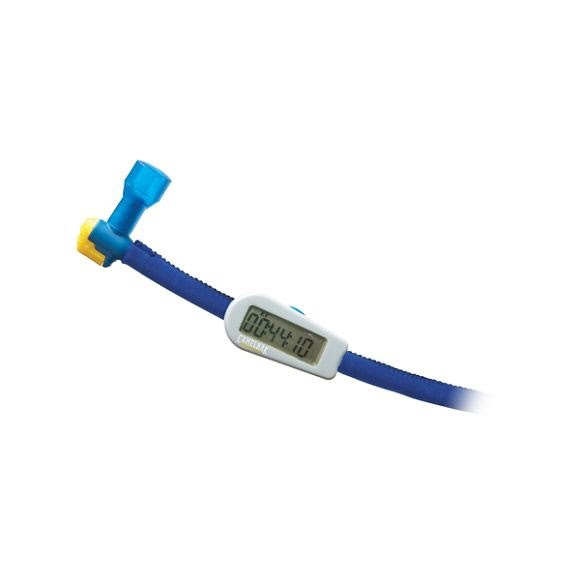 Flow Meter Convert any CamelBak reservoir into an intelligent hydration system with the CamelBak Flow Meter! Includes: Fluid Sensor, Display, Battery and installation and operating instructions.